Hundreds of thousands of Californians may be told not to show up for work sometime next week as California becomes Ground Zero in a federal government shutdown. More Californians – 355,000 at last count – work in civilian jobs in the federal government than in any other state, including the District of Columbia itself, according to the federal Office of Personnel Management. Past practice of retroactive pay for federal workers shut out of their jobs is no guide for this year, when the Republican-led House of Representatives is cutting deep into all domestic federal budgets. The California payroll impact may go even deeper since a federal shutdown likely would include all federal contractors. 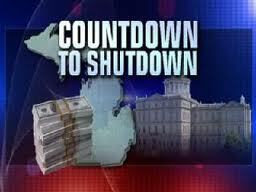 In the past, contract employees were not given retroactive pay for the shutdown period. The Obama Administration has asked federal agencies to determine a list of “essential” personnel who will maintain such programs as air traffic control, the administration is keeping the information secret. It has declined requests from unions as well as the media for a list of essential personnel. It is unclear if the list has been shared with local and state governments who will have to fill in some of the gaps. Some cities, like New York, already have announced efforts to create stop-gap remedies in the event of a shutdown. In a cascading impact, a federal shutdown result could be a heavier burden on California state and local government that will be felt in lower tax collections, more demands for services as federal agencies turn away customers and even lost payments that support local police, law enforcement and other federal-state-local programs. Even without a federal shutdown, California can expect an increase in health, welfare, housing and family service costs as a two-year federal pay freeze kicks in. While average federal pay increases on an individual basis are only two percent, federal workers are facing increased costs for health insurance and other expenses that will push them into eligibility for such program as housing assistance. Those consequences may not have been intended, but they are nonetheless real. The result of a wage freeze is that employees at the GS7 or lower level now will become eligible for public assistance programs designed to help the poor. Section 8 eligibility for a two-member family, such as a single parent with child, is $45,250 in San Francisco while a GS7 salary is $45,923. The Section 8 income, however, is computed after deductions for such costs as childcare is included making the actual comparison even more unfavorable for a full-time federal employee. Health insurance costs for a federal employee with one dependent are slated to increase by more than $51 a month. Food prices in California are estimated to increase by eight percent this year. Looking at all federal agencies in California, recent job postings at this grade level included park ranger, economist, food inspector, firefighter in Humboldt county, law enforcement officer, correctional officers and auditors. The Taliban-like ideological rigidity of Republican budget cutters is matched to some extent by the mismanagement of the federal government under the Obama Administration, giving Republicans a handle for their opposition. Obama supporters were first stunned, then downcast, as the new Administration failed to translate its policy goals by appointing new leadership throughout the nation in federal agencies. Most domestic agencies like Education, HUD, EPA, Health and Human Services, Transportation and others operate through ten regional offices, usually with a political appointee directing the office. In an unnerving real-world version of “new boss-same as the old boss,” the Obama White House failed to fill those key posts until well into the second year of its term. The result was that leadership fell to a corps of ranking bureaucrats who rose to the top during the eight years of the Republican Administration when agencies were told to do as little as possible. Instead work was contracted out to the private sector. This held true even in the face of dire circumstances, such as the mortgage meltdown and foreclosure crisis that was left on the White House doorstep in January 2009.